Westhill Walkers was formed in 1988 when a group of residents in Westhill with an interest in walking, fresh air and good company got together. Twenty five years later the group is still going strong and there are even a few of the original members still attending walks. 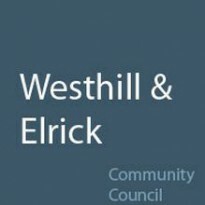 Although about 50 % of the membership is from Westhill everyone is very welcome to join us whatever their age or ability. In addition to the fortnightly walks we also spend several weekends in hostels in various locations. These weekend trips give members the opportunity to visit new areas, view different scenery, tick off a few more munros and generally have a thoroughly enjoyable and sociable weekend. Non-members are welcome to come on these weekends if there are spaces available. As well as the walks we have several social events – a highly successful annual ceilidh, a quiz night, BBQ, bowling and an early Christmas dinner at a hostel near the Linn of Dee.